Enter to win FREE patterns and $75 of yarn! We partnered with one of our favorite online yarn shops, LoveKnitting.com, to offer this great giveaway! Just enter the giveaway by purchasing a SweaterBabe pattern AND/OR pinning your favorite SweaterBabe patterns (a few suggestions below). Enter as many times as you like before 5/20/18. Entry details below. The #257 Teagan Cardigan (shown above) is the pretty little cardigan we all need to have. It's worked top-down, so it's seamless. Pretty leaf lace panel adorns the back. The open angled front gives it modern appeal. Shop #257 Teagan on the SweaterBabe site or my Ravelry Shop. The #267 Fleur Crescent Shawl above (and bottom left of top image) is a lovely, dk-weight project in 100% alpaca yarn and a gorgeous all-over lace design. The sample is knit in a 100% alpaca yarn from Garnstudio DROPS, but lots of dk-weight yarns with a similar feel will work nicely. Shop #267 Fleur on the SweaterBabe site or my Ravelry Shop. the Fleur Crescent Shawl pattern. THREE Individual SweaterBabe patterns of their choosing! TWO Individual SweaterBabe.com patterns of their choosing! 1) Make any pattern purchase from SweaterBabe.com or my Ravelry Shop from now until 5/20/18, 9pm PST. Each purchase counts, so multiple orders are welcome. Sorry, but free pattern downloads do not count as an entry. And yes, if you are a SweaterBabe.com Knitting Club member, you're monthly subscription payment is an automatic entry! 2) PIN any or all of the above images (or any knitting pattern from my SweaterBabe.com site or from my patterns on Ravelry) to one of your Pinterest Boards. The words "SweaterBabe Knitting Pattern" must be in your Pin description. THEN, enter the Pin's url here as a comment (example: http://www.pinterest.com/pin/181129216239054823/). Each separate PIN and comment counts as an entry. All entries must be in before 9pm PST, May 20, 2018. No purchase necessary, but if you do, each purchase counts as an entry. Then, I'll randomly choose 3 winners from all entries. Winners will be announced here on this blog post AND in my knitting email newsletter. Additionally, I will email winners directly, so please be SURE to include your correct email on the comment posting form (Email address will not be publicly shared or displayed). To be sure you don't miss my winner announcement, please sign up for my knitting email newsletter here. GRAND Prize goes to Sarah D.! Second Prize goes to Kate L (who pinned and commented)! Third Prize goes to Christy P.! Ladies, I'll email you with details on how to claim your prize. Thanks to all who entered!! I'll be doing another similar giveaway in a month or so! Join the Top 5 Knit-Along! It's time for some knitting, along with fellow knitters! Above are the current Top 5 Best-Selling knitting patterns from my collection. Join us as we KAL these patterns on my SweaterBabe Ravelry Group (must be on Ravelry to participate). 1) #230 Marine Layers. A lovely, decadent scarf (especially if knit up in the Madeline Tosh yarn, as shown!). Purchase pattern on SweaterBabe Shop or on Ravelry. 2) #223 Marrakech. A blanket with texture to die for! Pattern includes 3 sizes - baby, crib, and throw. Purchase pattern on SweaterBabe Shop or on Ravelry. 3) #215 Glitz and Glam Shawl. Simple lace combines with a elongated triangular shape to create this pretty shawl/scarf. The yarn used here has a glimmery strand, but many kid mohair and silk blends will produce equally beautiful results. Purchase pattern on SweaterBabe Shop or on Ravelry. 4) #222 Balboa Vest. A thoroughly modern, swingy vest that will carry your through many seasons. Drapes beautifully in the back and combines two interesting, textured stitch patterns. Purchase pattern on SweaterBabe Shop or on Ravelry. 5) #218H Hamachi Cardigan. It started as a blanket with an eye-catching stitch pattern. Rather than tucking it away for a future baby gift, I transformed it into a fabulous cardigan. Purchase pattern on SweaterBabe Shop or on Ravelry (purchase the Blanket pattern + the Cardigan Addendum). Each KAL will run in it's own thread on Ravelry. Check out the KAL announcement thread on Ravelry to join in on the KAL action and to read all details (cast-on date, KAL giveaways, etc.)! ENTER TO WIN a copy of your TWO choices (of the above) as soon as they get released! 1) PIN any or all of the above images (or any knitting pattern from my SweaterBabe.com site or my from my patterns on Ravelry) to one of your Pinterest Boards. The words "SweaterBabe Knitting Pattern" must be in your Pin description. THEN, enter the Pin's url here as a comment (example: http://www.pinterest.com/pin/181129216239054823/). 2) If you are not on Pinterest, post a comment here telling us which knitting pattern you'd love to get your hands (and needles) on! All entries must be before 9pm PST, March 31st, 2015. Then, I'll randomly choose 3 winners from all entries. Each winner can choose TWO of the above patterns to win. Additionally, I will email winners directly, so please be SURE to include your correct email on the comment posting form. Winners will be emailed or gifted the TWO pdf patterns they choose (from above) as soon as the pattern is released. If they wish to substitute a different individual pattern from my collection, that is ok too. Congrats to . . . Suzi Smith (commented on 3/7/15), Ife Davis (who pinned and commented on 3/12/15), and Cathy Plittman (who pinned and commented on 3/4/15). You've each won your choice of 2 individual SweaterBabe.com patterns. Choose from these previewed here or from my whole collection. Winners have been emailed. 1) To be named, asymmetrical lace poncho. Bring it! Whether it's a layer over your skinny jeans and tall boots for a run to the grocery, or it tops off a long, lean dress - this poncho is a head-turner that will showcase your knitting skills as well as your fabulous fashion sense! 2) Cables, cables, cables. Always love them, especially when they are presented in a unique, bold, yet understated way. This wide, beautifully cabled, stole is a must-knit and must-have in a cashmere blend yarn. 3) Another view of the poncho. Fringe is in! 4) and 5) A transitional tank in a most gorgeous hand-painted colorway. Angled hem creates a beautiful drape. Gently curved front and back neckline is ultra flattering and the perfect compliment to your favorite statement necklace or pendant. All entries must be before 9pm PST, December 10th, 2014. WINNERS! Lindsay N., Darlene Demell, and Carol Nunn. Congrats and thanks for entering! BRAG and WIN!! Photograph all those SweaterBabe.com Finished Projects and Enter to Win! THE MORE YOU BRAG, THE MORE YOU CAN WIN!! Besides keeping you chic and stylishly warm, those finished SweaterBabe projects can be put to good use ads giveaway entries! If you knit the MKAL "Don't Ruche Me, I'm Knitting" Scarf, enter to win cool prizes from DianaCouture, Sassafras Creations, Lilly Brush, and more!! Get the details on Ravelry or the SweaterBabe Blog. Earn free patterns (no submission limit!). Submit a photo of any finished SweaterBabe.com project on a person to our Finished Projects Gallery! If your photo is chosen to be featured, get a free pattern of your choice! #123 Sophisticated Boho Eternity Scarf from Amanda S.
#122 Tie-Front Long Cabled Vest from Emily H.
#99 Flutter-Sleeved Blousy Cardigan from Margaux H.
Submit your finished SweaterBabe Project photos to the Finished Projects Gallery! RULES FOR VOGUE KNITTING LIVE CHICAGO 2014 PHOTO GIVEAWAY: The finished knitting project you wear must be easily identifiable as a SweaterBabe.com pattern (so please take a close enough photo so I can clearly see it). The item must be worn at the Vogue Knitting Live event by you, so the photo MUST include a Vogue Knitting Live sign in it! Limit 3 eligible photos per person. Each entry must be a different finished SweaterBabe project. Each entry earns a free pattern AND counts as an entry in the prize drawing. Email photos to me at info@sweaterBabe.com or post them on the Ravelry thread here. FROM all eligible entries, I’ll pick a random entry to win a GRAND PRIZE of $25 in SweaterBabe.com patterns (awarded as store credit at SweaterBabe.com or as gifted patterns on Ravelry up to the $25 amount.) YES - IT’S THAT EASY! Spread the word and have a great time there!!! Get ready for a SweaterBabe.com Mystery Scarf Knit-Along! JOIN US as the Clues get released in September for this quick-knit one-ball (or two-ball if you want it a little longer) scarf that is very "SweaterBabe." Initial Sign-up period will be August 10-31*. Mark your calendars and watch my email newsletter for the Sign-Up details. ** For RAVELRY users **, please join the MKAL through this MKAL thread. ** For NON-RAVELRY users **, please add yourself to the MKAL September email list here. I'll be providing the sign-up details to you on August 10th (and a later August date as a reminder) AND all September Clue updates will be ONLY through this email list. The full pdf pattern will be available once the MKAL is finished at the beginning of October. SEPTEMBER 29 UPDATE: Clue #5 is up now (includes all previous clues)! For those that purchased on Ravelry: You have received a Pattern Update pm that includes a link to the MKAL pattern in your Ravelry library, where you can update your pdf copy to get Clue #5. Visit the MKAL threads to discuss your progress. For those that purchased directly on SweaterBabe.com: Sign in to your store account at http://www.sweaterbabe.com and under "completed orders" you can get a new download link to get Clue #5 of the MKAL pattern. Be sure to add yourself to the MKAL September email list here if you want September Clue update reminders by email. Post here to discuss progress. Clue 2 ONLY takes you through Row 31 of TOTAL Rows. Please follow it exactly as written on page 4. The PATTERN STITCHES section on page 3 is for reference only as you need to work those pattern stitches. The actual step by step instructions for knitting this scarf are on page 4. You will be working through Row 31 of the Scarf (again, total rows), which is only following Rows 1 through 7 of the new Diamond Lace. Then, please STOP. Row 31 (i.e. Row 7 of Diamond Lace) is a RIGHT SIDE row, so STOP THERE. Clue 3 will begin with a WS Row. CLUES 3, 4, and 5 will have much more in them! I kind of left 1 and 2 a bit short to allow those to catch up (late sign ups might still be waiting for yarn to arrive) and to keep the mystery for a little bit. Clue 3 will be a big reveal, I think! REMEMBER - Clue #3 begins with a WS ROW. Explanation above in Clarification for Clue #2. ALSO, if you are new to the (p1, k1, p1) in next st, practice with non-mohair yarn first. Here is a link to a SPOILER photo for Clue #3. It shows Clue #1 and #2 and a little of Clue #3. It is a BLOCKED photo, so PLEASE remember that I do NOT recommend you block until Clue #5 instructions. Here are photos of some of the PRIZES that will be awarded in various categories for Finished Scarves: (Top left, then clockwise) 1) A Serena Project Bag from Diana Couture, 2) A small (yellow) Yarn Owl perfect for smaller projects like this from Diana Couture, 3) Jangly Dangly Earrings from Sassafras Creations, and 4) Lilly Brush's New Brushes for Pet Owners and their Lint Remover brushes (not shown here). Visit the Prize Thread on Ravelry for more details. Not a Ravelry member? Just email your Finished MKAL Scarf photos to info@sweaterbabe.com to be included in the random prize drawings from all Finished Scarves. A LOT more photos on the Pattern Page! For those that purchased on Ravelry: You have received a Pattern Update pm that includes a link to the MKAL pattern in your Ravelry library, where you can update your pdf copy to get the FINAL Version. Visit the MKAL threads to see the PRIZES for OCTOBER. For those that purchased directly on SweaterBabe.com: Sign in to your store account at http://www.sweaterbabe.com and under "completed orders" you can get a new download link to get the FINAL Version of this pattern. Going to Vogue Knitting Live Chicago 2014 this weekend? Take a photo of yourself wearing any finished SweaterBabe.com project at Vogue Live and submit it for a free individual pattern of your choice! All entries (up to 3!) will also be eligible for the Grand Prize Drawing of $25 in SweaterBabe.com patterns! RULES FOR VOGUE KNITTING LIVE CHICAGO 2014 PHOTO GIVEAWAY: The finished knitting project you wear must be easily identifiable as a SweaterBabe.com pattern (so please take a close enough photo so I can clearly see it). The item must be worn at the Vogue Knitting Live event by you, so the photo MUST include a Vogue Knitting Live sign in it! Limit 3 eligible photos per Ravelry member. Each entry earns a free pattern AND counts as an entry in the prize drawing. Email photos to me at info@sweaterBabe.com or post them on the Ravelry thread here. Koala Caddies - a Review and Giveaway! Handled paper bags, plastic totes (my current fave from the Japanese Dollar store! ), baskets, my purse, reusable grocery bags - these are some of the things I've used in the past to carry around my knitting. And all to varying levels of success. In recent years, it's become even more important that I carry my knitting when I know I'll be out with some bits of time on my hands. . . whether I'm being soccer or gymnastics mom, going on a road trip, waiting at a doctor's appointment, or sitting in the school pickup line, even getting a few rows in can help me keep up with all the knitting that I do. Plus, I love being productive rather than staring at walls or checking email. Recognizing that many knitters and crocheters are productivity-lovers (AND like to protect their time and $ investment in their projects) like me, Mary Shooshan designed and developed these craft tote/storage bags called the Koala Caddie Knitting Bag Aprons and here is my official review! Her design holds two U.S. Patents! IMPRESSIVE! She calls them the KOALA Caddie Yarn Craft Apron (aka KOALA Caddie Knitting Bag Apron) and she sent me 2 of them - one for review and one to give away (details on that later). First impression: This looks like a nifty item that has lots of pockets and other features that were very well conceived! I LOVE pockets and own many pairs of cargo pants, though I have never stuffed my knitting in them (just cable needles, ha ha). I was very impressed with Mary's website, as it has extensive photos on the many ways to use the Koala Caddie. This just proves how thorough she was in designing it, as the photos visually explain all the ways the tote can be easily converted for use in different situations and by different users. To be honest, the selection of fabrics she had on her site were not to my taste (I admit to extreme pickiness), but NO WORRIES! She PROMPTLY took my feedback on the fabric selection and went above and beyond most shops to allow me to pick fabrics I could be excited about! That's the beauty of these items being hand-sewn. She is able to buy a small amount of fabric to make custom Koala Caddies and is now offering the same service she gave to me to all of her customers. Yippee! The first photo above is one of the fabrics I chose (and the one I'm keeping!). So, fabric choice no longer a distraction, I was able to receive her samples and focus on reviewing their usefulness. The workmanship on these Koala Caddies is gorgeous. I can barely sew, but I certainly can recognize a pro! These bag/aprons are meticulously cut and sewn together, with beautiful satin linings to protect your knitting and yarn. Mary uses pretty snaps and toggles that allow you to convert the bag/apron as needed. The bag is very lightweight, as I believe all tote bags should be (and cork platform shoes too, but I digress!). It cleverly uses snaps to go from fully extended tote (shown at right here) to shorter tote bag. The toggles make for quick adjusting of the straps, which can tie around your waist apron-style, or be tied together and used as a tote strap (cross-body or shoulder). Snaps at the top close up the bag part so your knitting can be safe and secure. Is the bag big enough to hold much? Why yes! Surprisingly so, as the front is subtly pleated. When you carry a small project, the pleats stay nicely, uh, pleated. But if you need to carry around a larger project, the pleats easily push out to accommodate. Fully extended, the tote/apron can also hold your PDF full-page pattern, although this is a soft bag, so some bending or folding might happen. And unlike my plastic totes, baskets, and shopping bags, the soft fabric of these caddies, allows you to be wearing them as an apron and then just sit down to knit, while your project is safely nestled in your lap. Nice! Plastic grocery bags holding hundreds of dollars worh of fine yarn. I'd say she addressed all of these issues in a very functional, stylish package! Plus, she has a cute little Koala button accent on the inner pocket, which also includes some elastic loops (see them peeking through?) to help you keep your knitting needles and tools handy and safe. For more information or to purchase your own, please visit www.koalacaddie.com. If you're like me and want to pick your fabric, here is one of her custom listings. I've got ONE Koala Caddie* to give away - $64 retail value! It's in the dark floral fabric (I hand-picked as well!) shown here. HOW TO ENTER THIS GIVEAWAY: You can do one or more of the following to enter. Comments and pins must be entered by 9pm PST, 7/31/14. One comment per person please. * Giveaway prize can be sent to US or Canadian addresses ONLY. Winner will be notified by email. If winner does not reply by email with mailing address within 7 days, a new winner will be chosen. And the randomly chosen winner of the black floral Koala Caddie is. . . Charlotte Layton, who made a pattern purchase on 7/8/14. Congrats! Pin It, Win It, Knit It! A new giveaway! Enter SweaterBabe.com's NEW Pin It, Win It, Knit It Giveaway! 1 GRAND PRIZE Winner will win one full year's membership in the SweaterBabe.com Knitting Club (a $95+ value)! 2 ADDITIONAL Winners will each win $25 in SweaterBabe.com store credit. After following SweaterBabe on Pinterest - - Create a Pinterest board named “My SweaterBabe.com Knitting List”. STEP 2: Start Pinning SweaterBabe.com Knitting Patterns! Find images of all the knitting projects you wish to knit from the SweaterBabe.com site and pin them to your new Board. 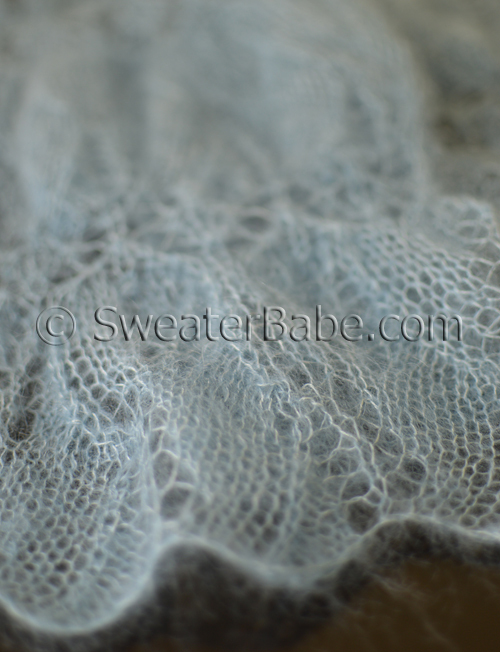 -- add the keyword SweaterBabeKnittingGiveaway to the end of each pin's description. ALL patterns on the SweaterBabe.com site at www.SweaterBabe.com have "pin it" buttons and you can pin also from the SweaterBabe Boards. STEP 2: Share Your Board! Share your Board Url by posting it as a comment on this blog post. All comments must be posted by 9pm PST, Sunday, May 25, 2014. That's it! THREE winners will be chosen from all valid entries*. Winners will be judged by SweaterBabe and the most inspiring boards (the ones that make me want to drop everything and just knit YOUR list!!) will be chosen to win. *For your entry to be eligible to win, your Pinterest Board must have "SweaterBabe.com" included in the board title. All knitting pattern pins within the submitted Board must be SweaterBabe.com patterns and include the SweaterBabeKnittingGiveaway keyword in their description. Winners will be announced here on the SweaterBabe.com Blog and notified by email (be sure you enter your correct email when you post your board url here!). Winners will have 7 days to claim their prize. Winners will be posted in the SweaterBabe.com Fans Group on Ravelry.com and may also be featured by SweaterBabe.com in its newsletters. Grand prize winner will be awarded one year of SweaterBabe.com Knitting Club membership. If currently a member, their membership will be extended for free for one year. Two additional winners will get $25 added as a credit to their SweaterBabe.com store account (if winner does not have a pre-existing store account, one will be created). SweaterBabe.com store credit can be applied towards the purchase of ANY SweaterBabe.com knitting or crochet pattern sold at SweaterBabe.com. Store credit cannot be used towards the purchase of membership in the SweaterBabe.com Knitting Club. * The GRAND PRIZE Winner is Bobbi Lynn! Click here to see her inspiring Pinterest Board. She has won one full year's membership in the SweaterBabe.com Knitting Club (a $95+ value)! * The two additional winners (each winning $25 in SweaterBabe.com store credit) are Emily Fledderman (see her Pinterest Board) and Meryl Dorey (see her Pinterest Board). Congrats!! Elegant lace, mixed textures, eye-catching silhouettes, & then some! Here are THREE upcoming patterns for you to preview and then ENTER to win a copy! Here's a sneak peek at two upcoming patterns that are just off my needles. Guess I was in a beige/camel color mood! Up first is my new love. It's a cocoon-style cardigan featuring a gorgeous open lace panel in the back. Ribbed dolman sleeves provide a tailored contrast. Then, a striking banana leaf panel is featured in both the shaped shawl collar and optional sleeve cuffs. This is a special, elegant piece that is wonderful to knit and very striking to wear. Fave/Queue this project on Ravelry or . Below, is a little cardigan with a pretty diamond lace pattern stitch. The wide back panel is then divided in half as front panels. A slimming fit allows this to work beautifully with summer dresses and tops, or at work, under a suit jacket. Plus, it's a seamless, top-down design, so the sleeve length is easily asjusted. Fave/Queue this project on Ravelry or . The #175 Diamonds and Lace Top-Down Cardigan is available NOW! This pattern includes 4 sizes, from the Baby Blanket size (shown here) to a Throw size. What's special about this blanket is the cool combination of Cables and Lace. This stitch pattern is a unique combination of cabling that makes it look like the cables are floating and traveling on top of the lace panels. I call it the #189 Travelling Cables Blanket. This knitting pattern is NOW available and is a great project for texture-lovers, like me! Fave/Queue this pattern on Ravelry or . I'll choose 5 winners to win a copy of one of these patterns (their choice of which pattern). 1) Make any pattern purchase from SweaterBabe.com from now until 4/30/14, 9pm PST. Each purchase counts, so multiple orders are welcome. Sorry, but free pattern downloads do not count as an entry. 2) Post a comment on this blog post telling us which pattern you would chose and why and Pin one of the patterns above (use any of the PinIt buttons). Comments and pins must be entered by 9pm PST, 4/30/14. One comment per person please. Shortly after 4/30/14 I will contact the 5 randomly chosen winners and ask you to chose which pdf pattern you'd like for your win! Tammy Blondon, who commented here on 4/15/14. Becky, who commented here on 4/5/14. Susan B., who made a pattern purchase on 4/19/14. Carla R., who made a pattern purchase on 4/5/14. Susan S., who made a purchase on 4/11/14. Congrats! You've all been emailed and can let me know which of these 3 patterns you choose to be your prize. The #189 Travelling Cables Blanket pattern is available now. The #175 Diamonds and Lace Top-Down Cardigan (just released!). The #191 Tabitha Cardigan will be available late May or early June. It's definitely a pet peeve of us knitters and crocheters. Who wants to see pills and fuzz on projects we spent many loving hours knitting or crocheting? Unfortunately, as a lover of fine fibers like cashmere and alpaca, pills are par for the course. A product called the Lilly Brush promises to come to the rescue! Let's put it to the Sweater[Babe] test! TEST #1: My black 100% baby alpaca cardigan (loom knit!). See the pills? This cardigan is one I used to wear often, but the little pills that have gathered under the sleeves and at the sides where my sleeves rub against the body of the cardigan are rather unsightly, so this cardigan was banished to a back shelf. I used the Lilly brush on it, and it actually worked quite well! See the after photo below. There were lots of little pills, so I did have to brush and clean the brush out, then repeat several times. See the pile of pills and fuzz that came off? Impressive! And note that after all that brushing, the cardigan is just fine. The stitch definition is as it was before all the pilling and it did not suffer any damage from the brush. Hooray, Lilly brush! TEST #2: My Malabrigo Sleeveless Cowl Neck! After just maybe 6 wearings, there were already some big pills and fuzzing at the underarms that I didn't appreciate! Some brisk brushing of the Lilly brush worked to remove the little pills. A slightly more aggressive brushing helped get more of the excess fuzz off. I did notice though, that if I brushed it too harshly, I was getting more halo than I wanted, as it ended up pulling some of the fibers out from the stitches. NOTE TO SELF: Go a little easier on the Lilly brushing with single-plied yarns like Malabrigo Worsted! So, bottom line? Does it work? YES. I do recommend the Lilly brush, as it's the only thing I've ever seen that effectively removes pills (and lint too!). And it's packaged in a nice way. No sticky rollers that stick to your patterns and everything else. Yes, I've used sweater shavers in the past, but there is no way I will ever allow a shaver to touch something I've knit and potentially cut off a part of a stitch! So, those sweater shavers have all gone in the trash eons ago. Too risky. And picking off the pills just seems to leave a sweater, that, well, looks picked at. I've got FOUR black Lilly Brushes* to give away! 1) Make a pattern purchase from SweaterBabe.com of any knitting pattern, crochet pattern, or eBook pattern collection from now through March 31, 2014. Every purchase counts as an entry, so feel free to make multiple purchases to be entered multiple times! NOTE: Excludes free patterns. 2) Post a comment on this blog post telling us your pilling story (or nightmare!). AND share this giveaway: , or share it on Facebook! Comments must be posted by 9pm PST, March 31, 2014. One comment per person only, please. Shortly after March 31, I'll randomly choose 4 entrants to each receive a BLACK Lilly Brush (See Black one in the nice box - it's just like the Red one, but the casing is black). * Giveaway prizes can be sent to US or Canadian addresses ONLY. Winners will be notified by email. If winner does not reply by email with mailing address within 7 days, a new winner will be chosen. - Allison B., who commented on 3/12/14. - Kerensa M., who made a pattern purchase on 3/23/14. - Jennie K., who made a pattern purchase on 3/12/14. I've emailed you all. Thanks for entering and congrats! Sign up for FREE pattern offers, updates, and more! Top 10 of 2018! PLUS, the Buy 3, Get the Least Expensive Free Offer! A NEW $75 Giveaway as Winter Approaches! Please see the Contact Us page for most customer service questions. If you still have a question, please email: info@sweaterbabe.com. Thanks! © SweaterBabe.com. All Rights Reserved Worldwide.